Closeup of the thin black ribbon power cable of the new iPad smart sign at Apple Store 2.0. 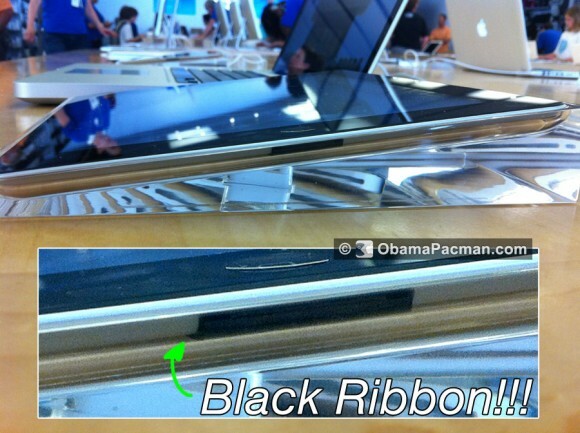 Photo of the iPad black ribbon dock connector by ObamaPacman. Looks to be 1mm or thinner and covers the dock connector, providing it power (and also alarm functions supposedly). It’s barely visible. Magical! The regular white dock connector goes to the back of the acrylic, and gets connected to the black ribbon under the center of the iPad, which goes to the dock connector. See our gallery of interactive iPad signs at Apple Store 2.0 photos, and our video of iPad smart sign showing iPhone plan prices. 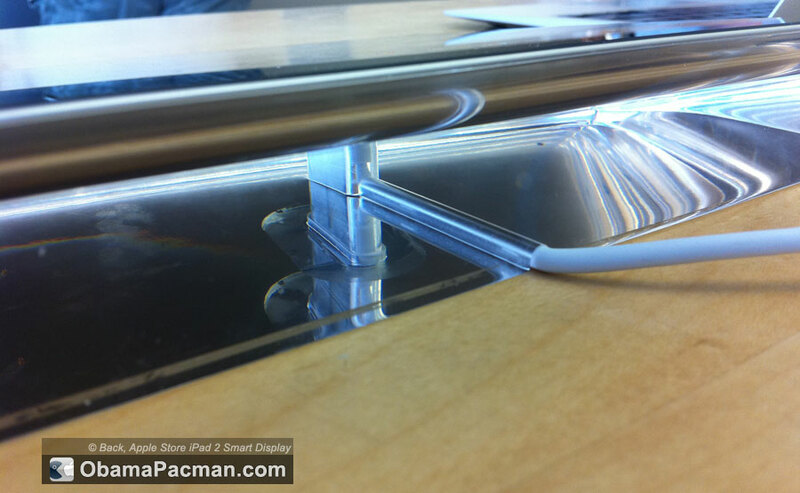 This entry was posted on Monday, May 23rd, 2011 at 9:49 pm	and is filed under iPad. You can follow any responses to this entry through the RSS 2.0 feed. It would be interesting to compare how other brands deal with similar in-store display situations. Some stores have electronic price signs or slow reacting touchscreens, but nothing that works as well like this and nothing at this scale. 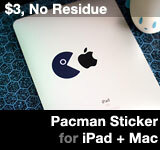 Microsoft is expected to copy this with slower reacting devices, in a year or two.